Lack of PPE based on absence of voltage assumption. Unmarked or not clearly marked circuit breaker or fuse. 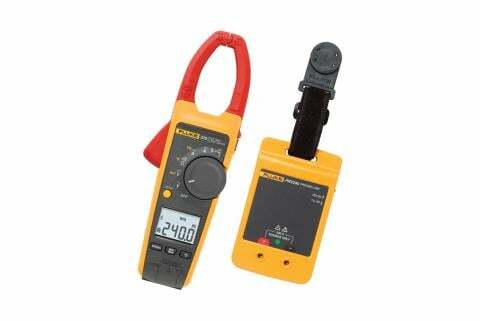 Look alike equipment (deenergized equipment in same area as energized). Induced voltage (also known as "ghost voltage") is often understood as occurring only in outdoor, high-voltage substations. This is incorrect. While that circumstance poses the biggest danger, low-voltage circuits run in cable trays and can also induce voltage into deenergized cables that are in the same tray. The solution is to apply a static ground to the circuit and dissipate the voltage, since an induced voltage does not have any short circuit current capability. Backfed voltage often originates from another circuit or part of the equipment, but backfed through indicating lights, CPTs, or resistors in equipment. Unlike induced voltage, backfed voltage does have a generation source feeding it and will arc if it is connected to ground. 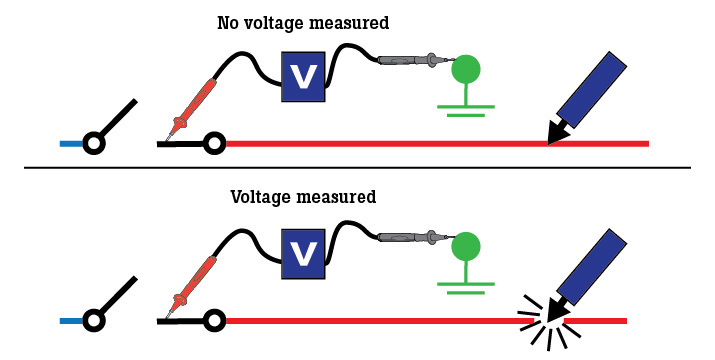 The solution to both scenarios is to use a combination of test instruments in order to determine whether the voltage is backfed or induced, and then verify the initial results. If you find a circuit that shows voltage when there should be none, be careful what you do next. Creating an arc is an unsafe act and could result in severe injuries. 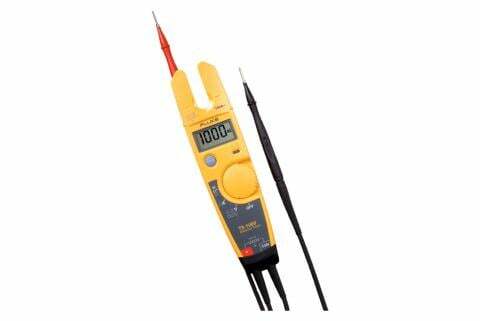 Therefore, when testing for absence of voltage, determine whether the voltage is induced by nearby energized cables or if it is being backfed from an unknown source.